There are 13 breeds of Hunt, Point and Retrieve dogs officially recognised by the Kennel Club in the UK. 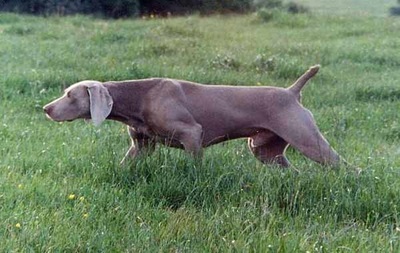 The Weimaraner belongs in this sub-group of gundogs. 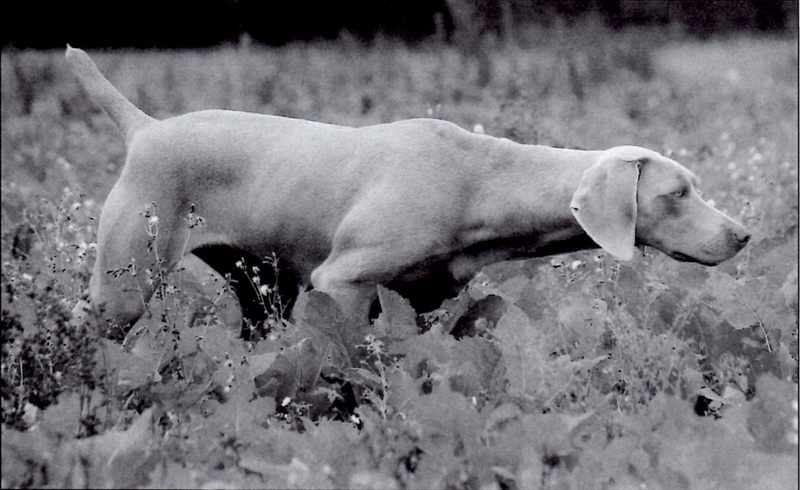 The breed excels as a rough shooter's and deer stalker's dog and many are to found working on shoots up and down the country. 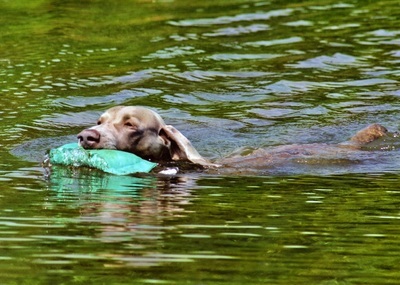 WA Guide to The Working Gundog: Click here. Not many owners aspire to work them in competition. Field Trials are competitions held under licence to rules laid down by the Kennel Club. 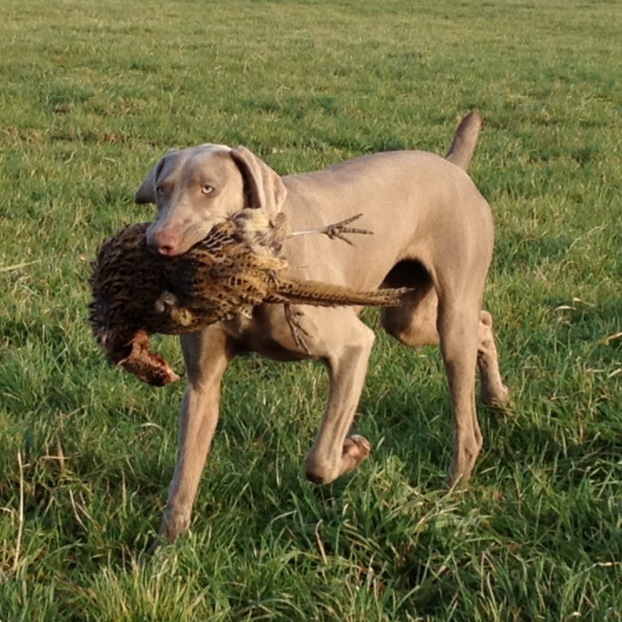 The purpose is to access the working of gundogs to a standard in the field, with dogs working on live, unhandled game and where game may be shot. All breeds of HPRs compete against one another. There are 3 levels of competition; Novice, All-Aged and Open. 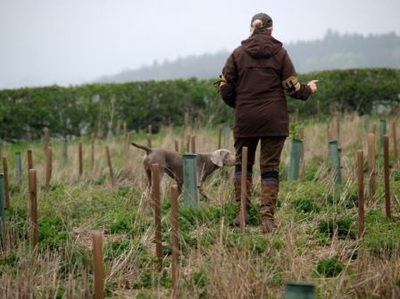 The Trials are held all over the country during the shooting season, 12 August to 1st February, on various types of shooting ground, from woodland to open moorland, on a variety of game species. They are designed to show a dog's ability as if on a rough shooting day, but with discipline. 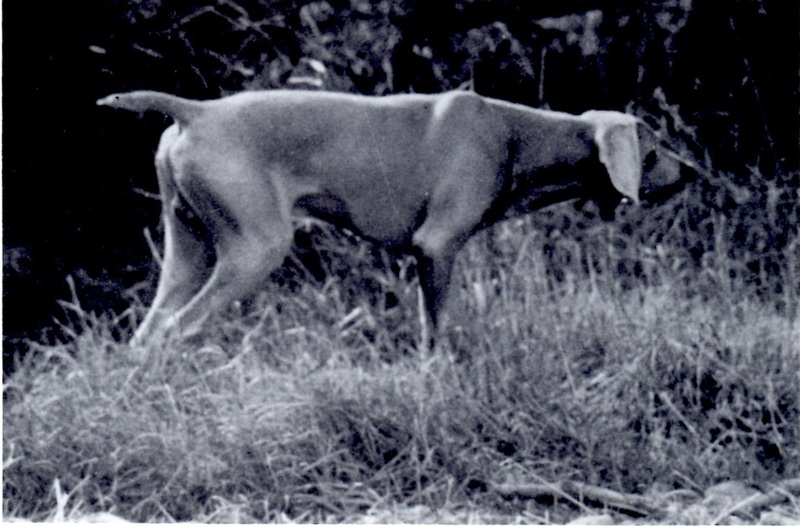 To date there have been only two Field Trial Champions in the breed. 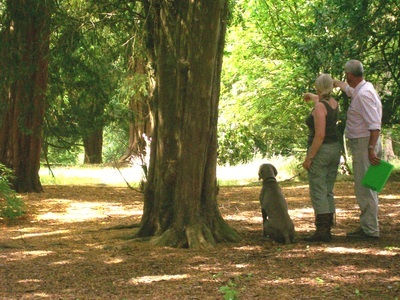 Pointing Tests are conducted in the Spring and Autumn and judged to a standard. 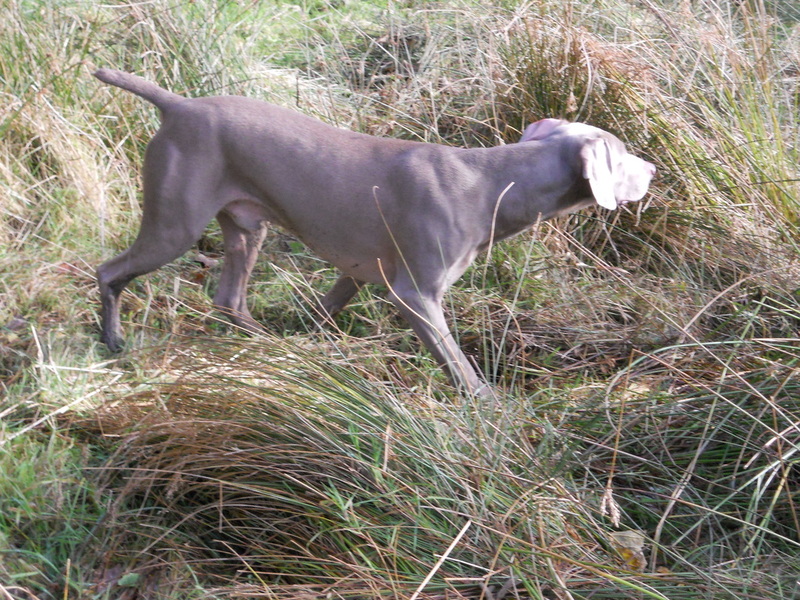 In Spring they are conducted on partridge, pheasant and grouse, when they have paired up for breeding but before nesting. In the Autumn they are conducted on coveys of grouse. They are aimed at dogs classed as junior, between the ages from 6 months to under 2 years old on the 1st January of the year the test is held. Adults are also able to enter but preference is given to juniors. The terrain is open land so the hunting style and drive can be assessed by judges. 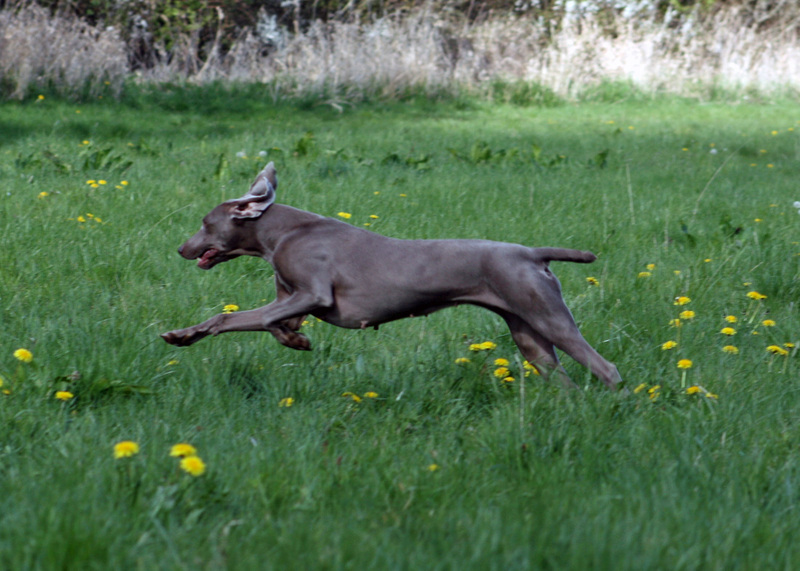 This is not an activity governed by the Kennel Club and only guidelines apply. They have been developed from those used in tests in continental Europe where HPRs were developed. 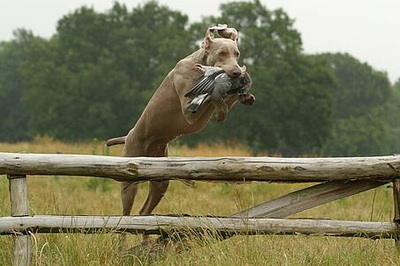 Dogs are hunted into the wind to give them the best chance of scenting game. They are given two minutes to settle down to a hunting pattern. The dogs are expected to quarter the ground at least 100 metres either side of the handler, locate game, point staunchly, flush on command and be steady to game going away. No shot is fired. 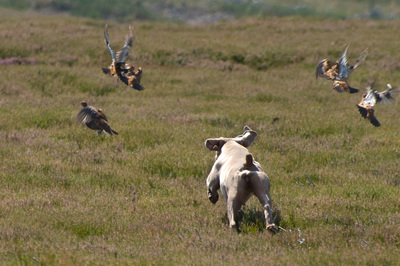 The dogs must also be steady to other game including ground game. But if a chase takes place you are given 50 yards to get your dog under control. No titles are awarded by The Kennel Club for these tests.